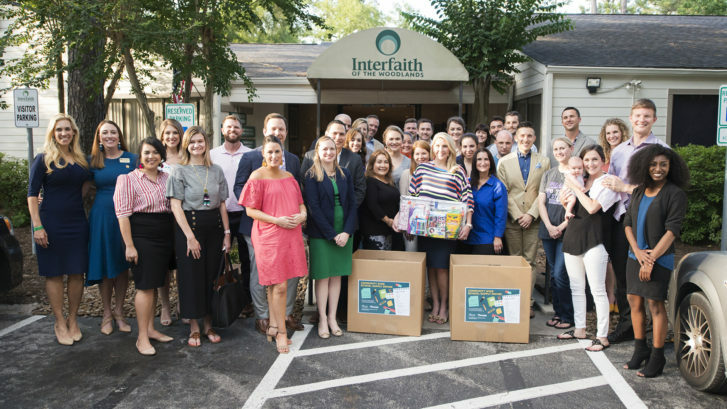 THE WOODLANDS, Texas – (June, 2018) Interfaith of The Woodlands recently kicked off its annual Kits 4 Kitz, a community-wide school supplies drive, with an event hosted by Interfaith Young Professionals (IYP). IYP members have widespread corporate and business involvement in the community and are setting up drives to support the more than 2,500 CISD students Interfaith expects to reach this back-to-school season. 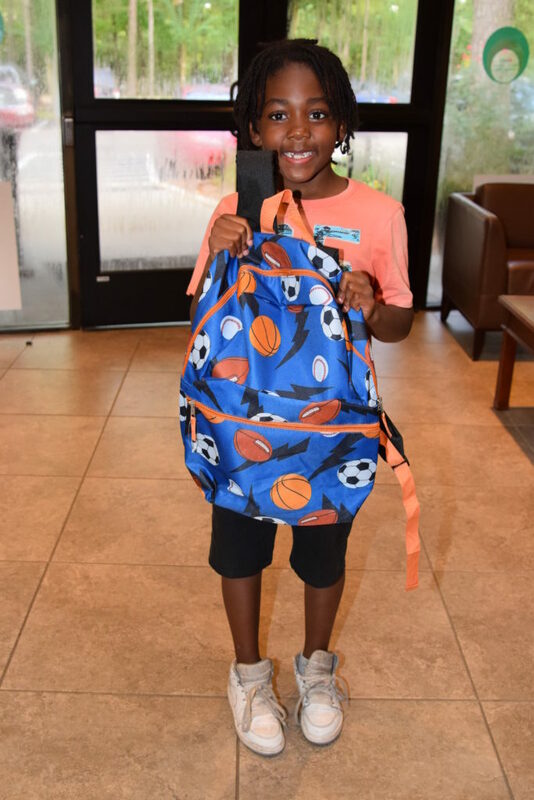 Students in need receive a school supplies kit, a new backpack, and a voucher for back-to-school outfit from the Hand Me Up Shop. Each summer, Interfaith meets with hundreds of local families in crisis to place their grade- and school-specific order for the next school year, just like what these students’ peers receive from local PTOs. This ensures all children in need have the same tools to be as successful as their neighbors. Each year, Interfaith also asks individuals and businesses in The Woodlands community to either host a school supplies drive or make a $65 donation—the typical cost of complete school supplies for kit—to sponsor local CISD students in need that reside in South Montgomery County as they head back to school. In addition to giving out packs, Interfaith also provides supplemental supplies to many other families who come in because they missed the opportunity to order. School supplies being collected include new markers, crayons, scissors, glue, pencils, pens, map pencils, copy paper, notebook paper, binders, pocket folders, pencil boxes/bags and logo-free backpacks. In 2017, nearly 3,000 children received school supply assistance through Interfaith’s Kits 4 Kidz program. “Every child deserves to start school prepared with the essential tools that will help them succeed. Having the same supplies as their peers makes an enormous difference in a child’s educational experience,” said Missy Herndon, President & CEO of Interfaith of The Woodlands. “Every year, thanks to the generosity of our community, Interfaith is able to serve every family that walks through our doors expressing a need. We are grateful to our community partners who collect supplies and backpacks to help us meet this growing need,” she said. School supplies and monetary donations will be accepted until July 26. 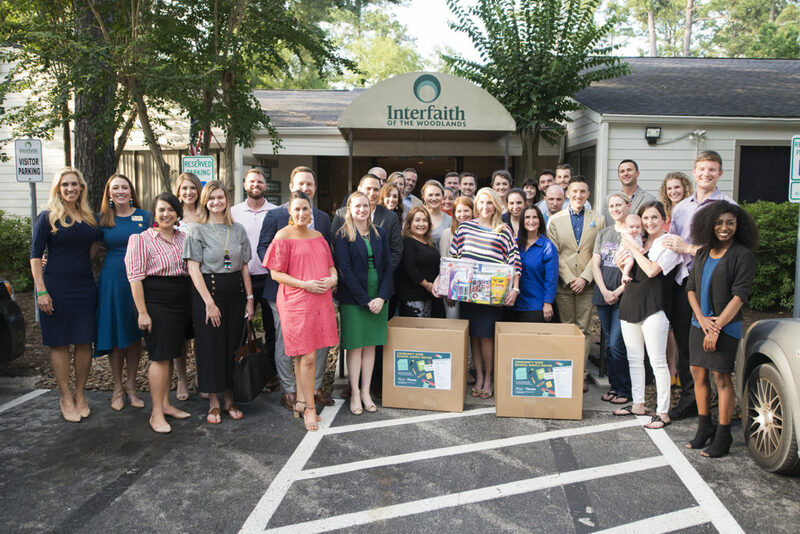 Interfaith of The Woodlands is a nonprofit social service agency providing numerous programs and services to meet the needs of The Woodlands and the surrounding area. IYP’s membership is a service group of Interfaith, boasting more than 100 professionals who believe in its mission of educating, cultivating, and motivating future community leaders and sharing the importance of building community through service. To receive school supplies from Interfaith, join IYP, learn more about our programs and services or to become a volunteer, please visit woodlandsinterfaith.org or call 281-357-1230.